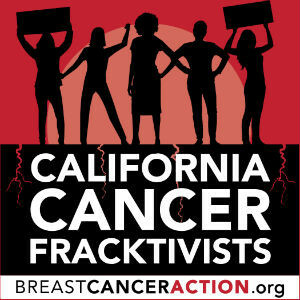 Breast Cancer Action opposes fracking because the practice exposes people to endocrine disruptors and carcinogenic chemicals that are linked to breast cancer. You can learn more about our take on fracking here. If this sounds like you, email our Campaigns Coordinator to become a California Cancer Fracktivist today. When you contact us, we’ll send you local and statewide opportunities to get involved and give you the materials you need to oppose fracking on the frontlines. You’ll be part of a pivotal movement that is paving the way to ban fracking across the country—as they say, so goes California, so goes the nation. Take a stand for the health of your community by contacting us now.